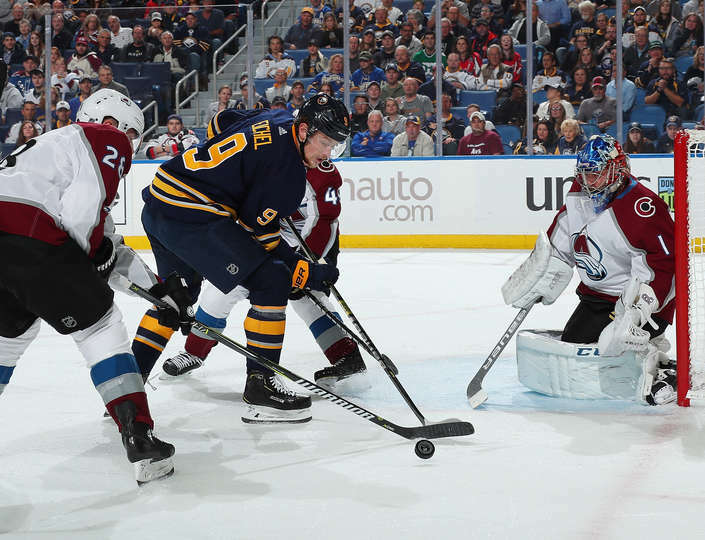 With players such as Nikita Kucherov, Steven Stamkos and Jack Eichel, the Atlantic Division features spirited contests nearly every night of the NHL season. It’s not just about the snipers, though — the Atlantic has skill bursting at the seams in passing, speed and defensive play, too. Last week, we looked at the Central Division and which stick stars like Patrik Laine and Vladimir Tarasenko prefer to use on the ice. This week, we look closely at the Atlantic Division, which features some of the best players in the world. 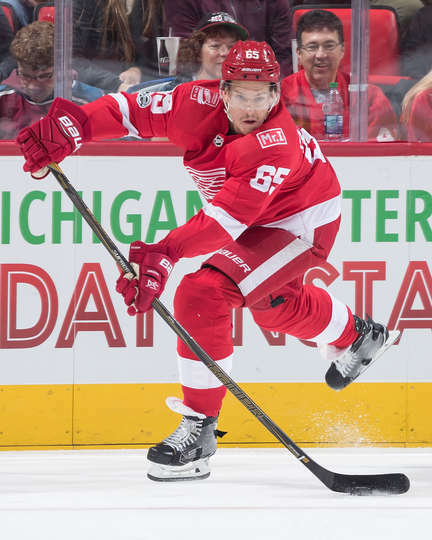 Danny DeKeyser, Detroit Red Wings – The Michigan native has been thrust into a top-pairing role for his hometown team, thanks to injuries to Mike Green, Jonathan Ericsson and Trevor Daley. The result? A smooth-skating defenseman with a knack for getting the puck out of his zone and to the forwards’ sticks. DeKeyser utilizes many features of the new 2S, including eLASTech technology that allows him to take punishment from forecheckers without worry of his stick breaking. The RenewCore blade utlizes a pressurized gel core that remains in liquid state, allowing DeKeyser to lean on his stick for long stretch passes or shots from the point and feel confident the puck is going where he wants it to, providing a lightweight feel and a strong core to remain intact for longer periods of time. 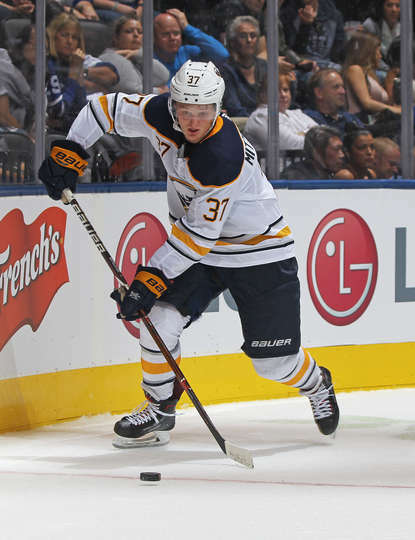 Jack Eichel, Buffalo Sabres – One of the league’s most promising players, Eichel took another step in his development this past summer when he was handed the “C” by the Sabres’ coaching staff and management. His ability to get the puck to the net, as well as his elite passing ability, drives his team’s offense for nearly all 82 games every season. The Supreme 2S’ Maximum Power Kick (MPK) technology allows Eichel to whip the puck to the net with authority, as his shot energy transfers fluidly from handle to blade. RenewCore within the blade allows the blade to last longer, as well, as Eichel can rocket pucks often without any massive breaks to the interior of the stick. 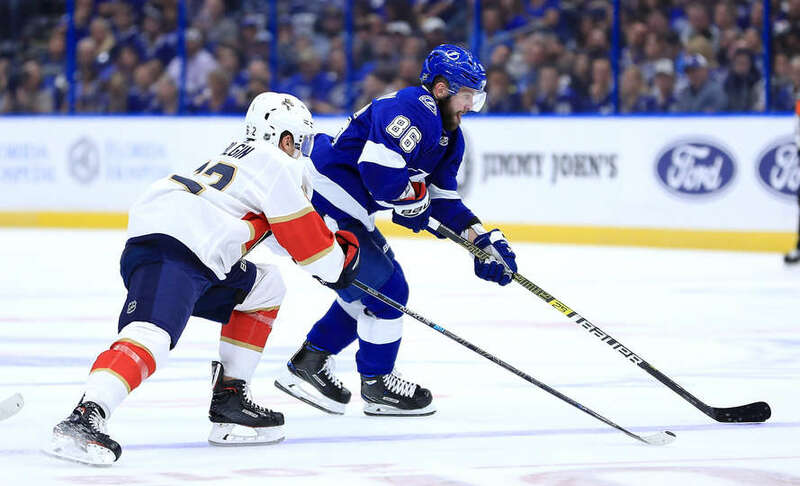 Nikita Kucherov, Tampa Bay Lightning – A Hart Trophy finalist last season, Kucherov is almost in a league of his own in terms of shot release, speed and accuracy. The Tampa Bay winger not only can pick the corner, but his ability to weave in and out of defenders makes him a versatile, dangerous forward anywhere within the offensive zone. Utilizing MPK technology for his shot’s release and TeXtreme, which provides a lighter feel top to bottom, Kucherov has a feel for the puck that almost goes unmatched, thanks to the feel of the 2S in his hands. It’s much lighter than even last year’s 1S and allows Kucherov to find the open space with the puck on his twig, even if there are multiple defenders bearing down on him. Steven Stamkos, Tampa Bay Lightning – Although Kucherov received well-deserved credit last season with a Hart Trophy nomination, it was his captain, Stamkos, who fed him the puck all season long. 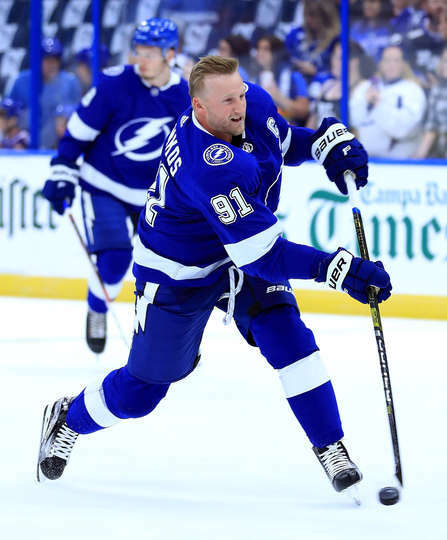 Stamkos is not only a top passer with accurate sauces at every turn, but he’s known for having a wicked shot that defensemen don’t enjoy stepping in front of. Stamkos’ elite-level talent is what pushes him to superstar status in the NHL, but his stick plays a role in him maintaining success. Monocomp technology, TeXtreme construction and eLASTech technology all work in conjunction to provide its players with a consistent and durable stick. Stamkos almost never finds himself in a situation where he has an open net, but a broken stick. This means he will capitalize on those opportunities … every time. 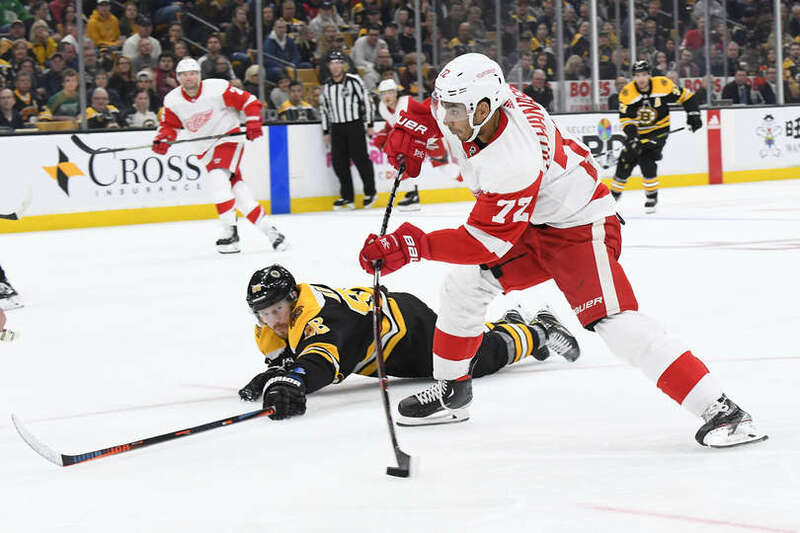 Andreas Anthanasiou, Detroit Red Wings — There’s one aspect of Anthanasiou’s game that is apparent the minute he takes the ice: speed. One of the quickest skaters in the NHL, Anthanasiou often tallies lamp lighters by blowing past defenders and utilizing his hockey sense to read the goalie and know where to put the puck. With quick feet, a quick shot is necessary. That’s why Anthanasiou chooses to use the Vapor 1X Lite on a nightly basis. With Advanced Carbon Layering (ACL), the Vapor 1X Lite uses thinner, stronger internal carbon fiber layers which creates a light blade for quick shooting. This works alongside the 1X Lite’s impressive taper recoil, which allows Anthanasiou to whip shots quickly toward the net before the goalie can react. Jake DeBrusk, Boston Bruins — There’s a reason the Bruins jumped at the chance to take the late first round-projected DeBrusk in the 2015 NHL Draft at 14th overall. His compete level is at a point that even scouts marvel at. DeBrusk doesn’t shy away from anything on the ice, emulating his the play style of his father, Louie DeBrusk, a former NHLer. Jake requires a stick that will work as hard as he does and will stay intact for any battle, whether it be in the corners or in front of the net. Monocomp technology has become a staple in many Bauer sticks, due to its ability to remain as strong as ever, even after some major slashes or slams into the boards. The QRT+ technology found within the blade reinforces the taper zone (or where the shaft meets the blade). This keeps a stable consistency throughout, allowing DeBrusk to deliver the same accurate passes and shots every time. 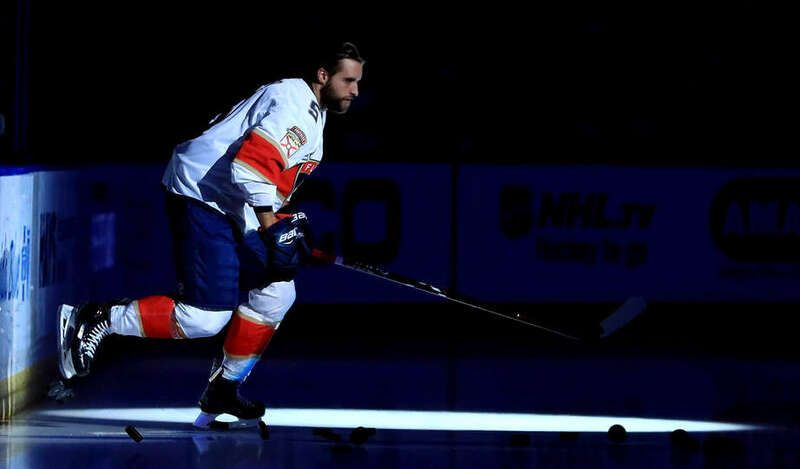 Aaron Ekblad, Florida Panthers — A former Calder Trophy winner as rookie of the year, Ekblad is a hard-working defenseman with a knack for getting pucks to the net and onto the tape of his teammates when breaking out of the zone. Ekblad’s play style requires a stick that is comfortable in his hands and provides power so he can rocket shots or hit a streaking teammate with a crisp pass in the neutral zone. The Vapor 1X accomplishes this, thanks in large part to its ACL technology, which helps create a ridiculously light and balanced stick so Ekblad has a great feel for the puck. The weight savings provided by the ACL process allow for a faster taper recoil, allowing Ekblad to blow pucks up the ice or on net like a cannon. Casey Mittelstadt, Buffalo Sabres — The 2018 World Junior Championships MVP, who has played in under 20 NHL at this point, is already at a level of skating that many NHL players never reach. His movements are fluid and harmonious, every stride looking as effortless as they come. His hands complement his speed, as well, making him a versatile puck mover and, whether it’s passing in stride or making a move that a rookie has no business making at this level. A lighter stick is what it’s all about for Mittelstadt. When moving at top speeds, the last thing he needs is a weighty or clunky stick bringing him down. We’ve already covered how light the stick is throughout this series, but have we discussed the balance that sets this stick apart from its competitors? The 1X Lite stick’s features work together to create a cohesive and light stick that feels the same at the toe and the handle. Its consistency allows players to extend their hands into the stick, giving them surprising control of the puck that allows them to make earth-shattering moves at their highest speed possible without losing the puck. 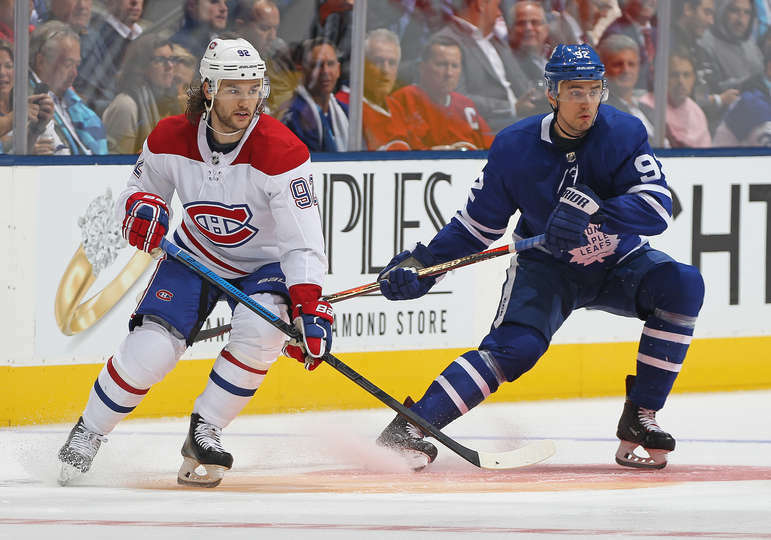 Jonathan Drouin, Montreal Canadiens — One of the Canadiens’ latest weapons, Drouin uses speed through the neutral zone and a quick release to be an effective NHL player. His accuracy and ability to get the puck off in quick fashion is what attracted Montreal to him. Thanks to the Nexus 2N Pro’s R-Lite blade system, Drouin’s control and feel for the puck are vastly improved. The rubberized response layer provides Drouin with feedback on where the puck lies on his stick, allowing him to adjust properly to the shot he’s lining up to take. The Easy Load Taper and Sweet Spot Technology also provide a powerfully accurate release that almost feels like no effort is needed to get a great shot on net. Auston Matthews, Toronto Maple Leafs — What else can be said about Matthews that hasn’t already been said? 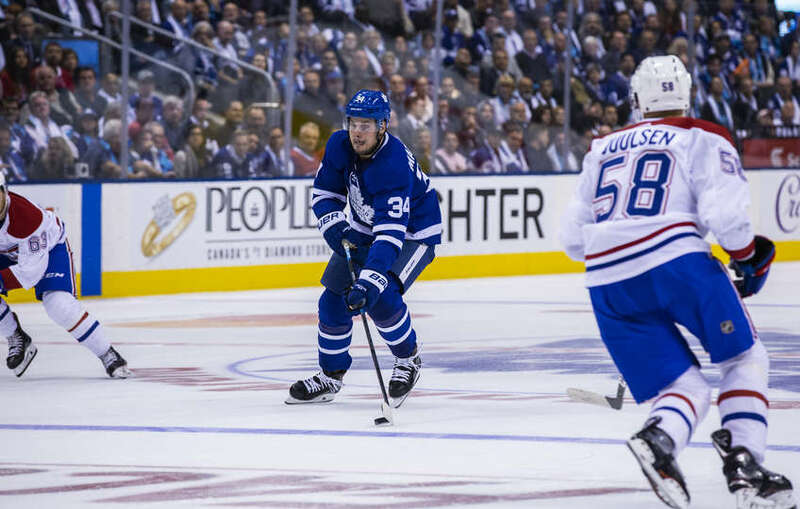 The former first overall draft pick has been the talk of the league to open the 2018-19 season, scoring goals in bunches and almost making people forget about the Maple Leafs’ big summer signing, John Tavares. If there’s ever been a time to be excited to be a Leafs fan, it’s right now. Matthews’ game is all Bauer needs to market their sticks. His quick release and ability to work through any number of defensemen is an advertisement all in itself, but it’s the percentages that send this stick to a level all its own. Thanks to a reinforced blade edge with thinner carbon fiber that reduces blade weight for a ridiculous release, the stick is 15% faster on slap shot release, 12% faster on snap shots and 10 grams lighter than the previous model. It’s quite simple: when Matthews elevates his game, his stick follows suit. 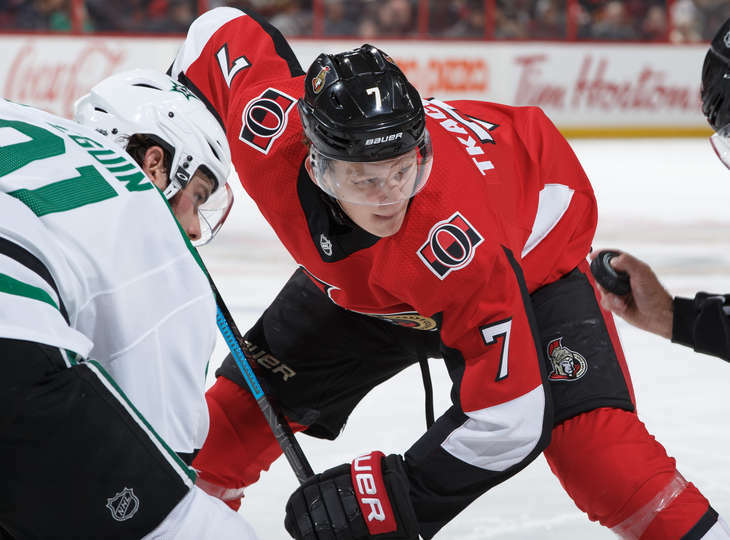 Brady Tkachuk, Ottawa Senators — The fourth overall pick in this past draft, Tkachuk brings an elements of youth, grit and tenacity to his new team, the Senators. He adds excellent speed to his game, as well, likely making him the quickest skater in the Tkachuk family. When grit is delivered, it’s often reciprocated in the form of hacks and slashes. Past stick models may have worn down and broken over time, especially when a player took a shot directly after a slash, but Bauer has mastered flexural strength. Utilizing a dynamic resin that focuses both on impact and flex properties, players can lean on their shots and take punishment without adding damage to the shaft. The NHL-preferred blade core is extremely lightweight and includes a dampening layer to maintain a responsive puck feel, allowing Tkachuk to rifle shots from anywhere on the ice, even in high-danger zones. 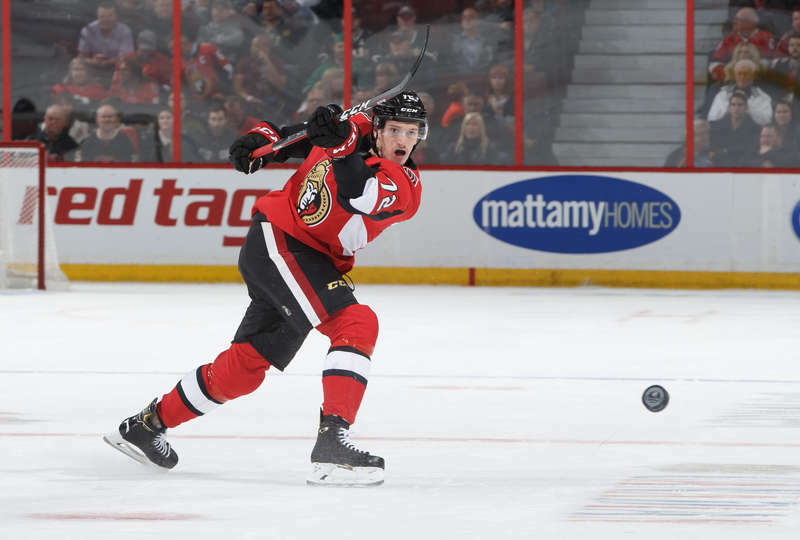 Thomas Chabot, Ottawa Senators — With under 100 games played in his young NHL career, Chabot is a mobile defenseman that is valuable on the Senators’ power play. His shot is accurate, but his ability to read plays may be his strongest asset. He’s also a defenseman who has the potential to play 30-plus minutes, which maybe aided in the organization’s decision to move Erik Karlsson, since their future on the blue line is so bright. Chabot benefits on both ends of the ice from the JetSpeed’s features. The JetStream blade features a multi-channel approach with a dampening layer to reach a unique blend of feel and consistency, allowing Chabot to hit teammates with a perfect pass on the rush or to nail a perfect shot from the blue line. The hybrid kick point, which has become a favorite among CCM stick users, creates a hinge-like effect that works with a soft taper zone for increased speed and booming power. Look out, Atlantic Division, Chabot and his numerous abilities are leading the Senators through a rebuild. 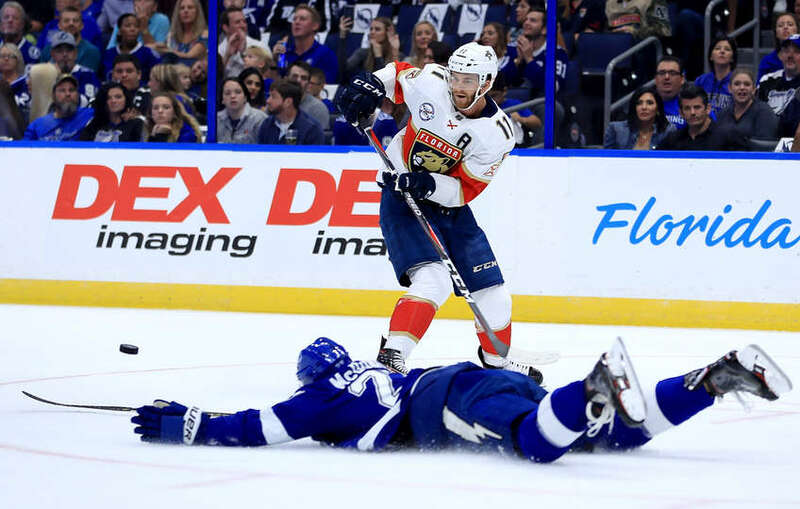 Jonathan Huberdeau, Florida Panthers — A smooth skater with quick hands, Huberdeau is an elite playmaker with memorable dishes during his countless stays in the offensive zone. It wasn’t a fluke he took the league by storm in 2012-13 when he won the Calder Trophy as rookie of the year. Huberdeau’s abilities to weave through the zone is in no doubt thanks to his numerous hours training on and off the rink, but the Sigmatex technology found within the core of the JetSpeed helps just a tad more. Sigmatex is accomplished through an exclusive spread tow fabric that is extremely strong due to its high-weaving process. This helps Huberdeau maintain a balanced stick, while providing him with an excellent feel for the puck. The latest geometry in the JetSpeed shaft offers a smooth transition area, as well, helping with bending of the stick and providing an unmatched feel within Huberdeau’s hands. 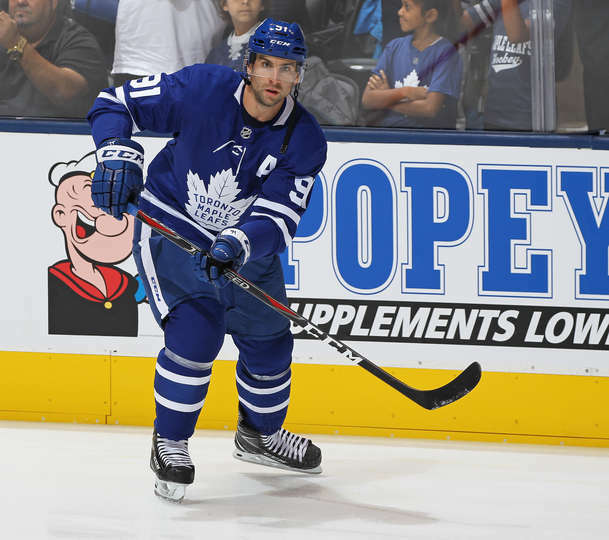 John Tavares, Toronto Maple Leafs — Another monstrous playmaker, Tavares utilizes the Sigmatex and JetSpeed shaft technologies, as well. The word “elite” almost doesn’t even begin to describe Tavares, as so many facets of his game are at a higher level than almost anyone in the league. This includes his elusive shot and ability to perfectly saucer a pass to a teammate over defensemen’s sticks. This power, control and precision start with the JetStream blade, which provides Tavares with the much-needed feel to create these plays thanks to a dampening layer within the core. The hybrid kick point allows for controlled power, while the features found within the shaft create an excellent balance for Tavares to deliver any type of puck movement at an elite level. Toronto will be dazzling at Tavares’ abilities all season long, especially in vital Atlantic Division battles. Patrice Bergeron, Boston Bruins — Bergeron is in a level all his own when it comes to two-way-play. In fact, the only person who matches his abilities is Bob Gainey — the long-time Canadiens forward who won four Frank J. Selke Trophies as the league’s best defensive forward — and he retired in 1989. 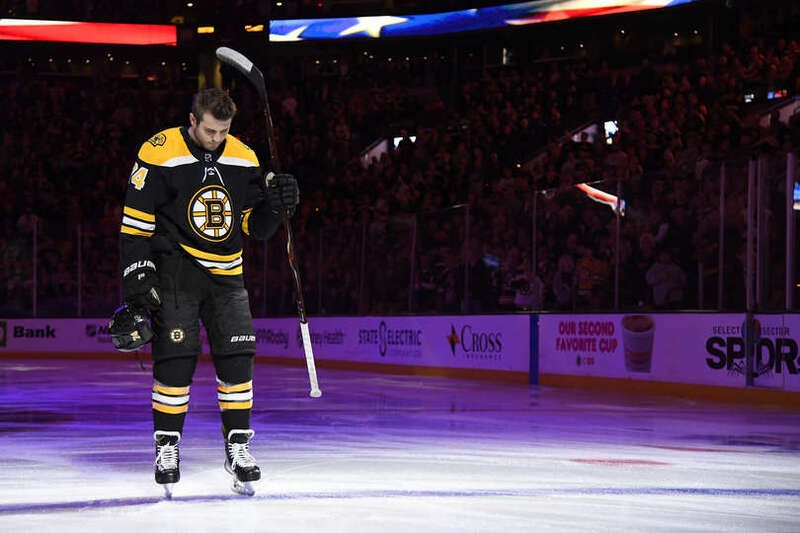 Bergeron has won the honor just as many times, and he is always finding new ways to dazzle Atlantic Division foes, whether it’s by breaking up a play or scoring a big goal for the Bruins. Compaction of fibers within the stick — called X-Flow Technology — allows for an excellent puck feel, helping Bergeron gather the puck in his end and send it out, whether via a clear or a pass. 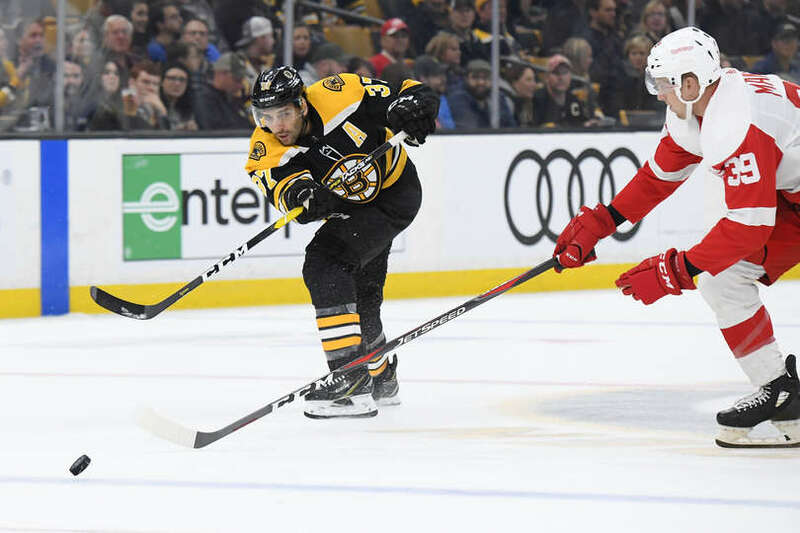 X-Flow works alongside Sigmatex fibers to create a strong and sturdy stick, as well, allowing Bergeron to tip shots either offensively or defensively without worry of stick breakage. A max-loading, mid-kick point allows Bergeron to load shots with stored energy, creating a balanced and deadly shot whenever Bergeron finds himself in the slot for a prime scoring chance. 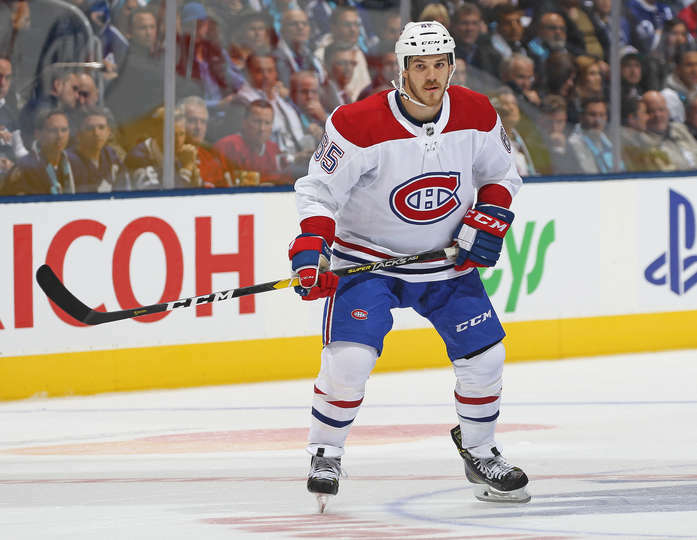 Andrew Shaw, Montreal Canadiens — Although Shaw may not be at an All-Star level in terms of point production, the gritty forward plays a sound defensive game and is extremely disruptive in front of the other team’s goal. There’s a reason he made the rare jump from being drafted in the fifth round, 139th overall, to playing the next season with the Chicago Blackhawks (2011-12). The aforementioned X-Flow technology helps players like Shaw see a longer stick life, as the optimized molding technology allows the fibers to remain intact for longer. This provides durability, even during skirmishes or off hard shot deflections. The ACU3 Blade was designed to provide excellent shot control, but it’s so balanced with the shaft’s geometry, it’s perfect for breaking up passes or poke checks, which are both assets to Shaw’s game.